Nine people are facing losing their licences before Christmas after being charged with drink driving. Since the “95 Alive” York and North Yorkshire Road Safety Partnership’s annual festive drink and drug drive campaign began on Saturday 1 December, 21 people have been arrested on suspicion of getting behind the wheel while under the influence. Eight people have been released on police bail as enquiries continue, three people will have no further action taken against them, while those charged are due to appear in court over the next two weeks. A 50-year-old man remains in police custody after being arrested in York last night. Officers have been out in force across North Yorkshire and the City of York since the crackdown began and will continue to patrol the roads to keep people safe this Christmas. Considering we arrested 100 people in the whole of last year’s campaign, 21 arrests is a fairly high figure in the first four days of this year’s operation. It is pleasing that we are catching the people who are prepared to take a foolish risk, but it is concerning that the message isn’t getting across to some. The message is loud and clear: drink driving costs lives. It’s as simple as that. If you take a chance and get behind the wheel after drinking or taking drugs, you are not only putting your own life at risk but the lives of innocent members of the public. The high number of arrests so far shows how serious and committed we are to catching drink and drug drivers and bringing them to justice. Remember, if you take the chance and think you can get away with it, we are waiting to catch you. A 51-year-old woman, from Runswick, near Whitby, is due to appear at Scarborough Magistrates’ Court on Wednesday 12 December 2012, charged with drink driving. The woman was stopped on Ellerby Lane, Runswick, on 3 December 2012 and was arrested after providing a positive roadside test of 67 micrograms of alcohol in 100 millilitres of breath. A 29-year-old man, from Leeds, is due to face a drink driving charge at Selby Magistrates’ Court on Thursday 6 December 2012. The man was arrested on Fenton Lane, Sherburn in Elmet, at around 7.35am on Saturday 1 December 2012, after crashing his car into a ditch. Officers attended the scene after being alerted by a passing motorist and he provided a positive roadside sample of 88 micrograms of alcohol in 100 millilitres of breath. A 26-year-old man from Hartlepool, has been charged with being in charge of a motor vehicle while above the alcohol limit and will appear before Northallerton Magistrates’ Court on Friday 7 December 2012. The man was arrested in the early hours of Sunday 2 December 2012 in Richmond Market Place after providing officers with a positive test of 61 micrograms of alcohol in 100 millilitres of breath. 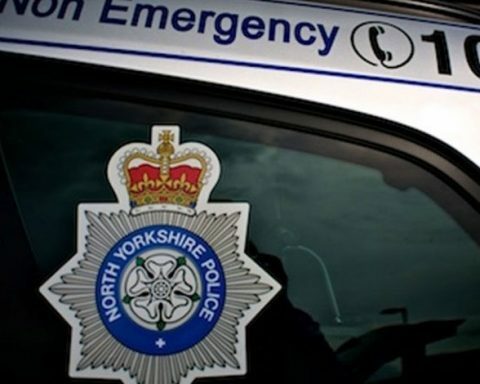 A 42-year-old man from York is due to appear before York Magistrates’ Court on Friday 7 December 2012 charged with drink driving. The man was arrested after being stopped by officers on Crompton Road on Saturday 1 December 2012. he provided a roadside test of 61 micrograms of alcohol in 100 millilitres of breath. He has also been charged with failing to stop at the scene of a collision, failing to report a collision, driving without due care and attention and wasting police time, following a collision on Haxby Road, New Earswick, on 22 September 2012. A 37-year-old man from Alicante, in Spain, is due to appear before York Magistrates’ Court on Friday 7 October 2012 charged with failing to provide a specimen for analysis. He was stopped by police on Beckfield Lane, York, in the early hours of Saturday 1 December 2012 and arrested after officers suspected him of being over the drink drive limit. He has also been charged with driving without a licence and driving without insurance. A 23-year-old woman and a 25-year-old man, both from York, have been charged with drink driving following a road traffic collision in Elvington on 1 December 2012. They are due to appear at York Magistrates’ Court on Monday 10 December 2012. The woman has also been charged with failing to stop at the scene of a collision and failing to report a collision. A 35-year-old man from Leeds is due before Selby Magistrates’ Court on Thursday 13 December 2012 charged with drink driving. He was arrested at around 2am on Sunday 2 December 2012 on the A19 at Chapel Haddesley after his vehicle hit a wall. He provided a positive roadside test of 63 micrograms of alcohol in 100 millilitres of breath. A 22-year-old man from Richmond is due to appear before Northallerton Magistrates’ Court on Friday 7 December 2012 charged with drink driving. He blew 93 micrograms of alcohol in 100 millilitres of breath after being stopped by officers on Queen’s Road, Richmond, in the early hours of Sunday 2 December 2012. Some of the arrests during the drink and drug driving campaign so far, have come as a result of information provided by members of the public. Please help the campaign by reporting anyone you suspect of drink or drug driving to the police or Crimestoppers. If you have any information about drink or drug driving, please contact North Yorkshire Police on 101 – select option 2 – and pass information to the Force Control Room. If you wish to remain anonymous, Crimestoppers can be contacted anonymously on 0800 555 111. Follow North Yorkshire Police on twitter for the latest drink and drug drive campaign updates @NYorksPolice #drinkdrive.